Condition: Excellent, with absolutely no defects, that chip, dislocations, scratches etc. 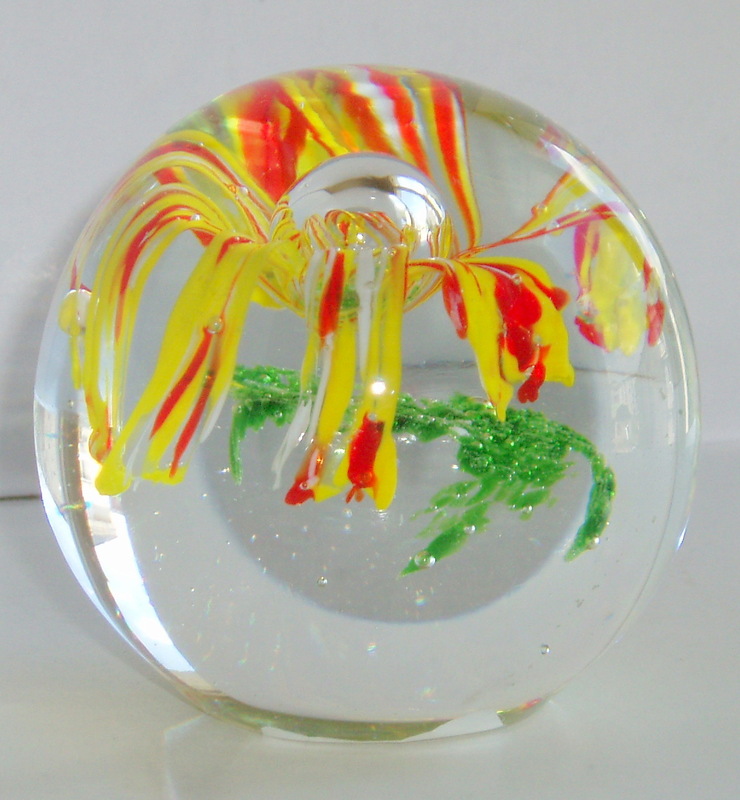 Dimensions: 7.4 cm height, 7.6 cm diameter sphere. 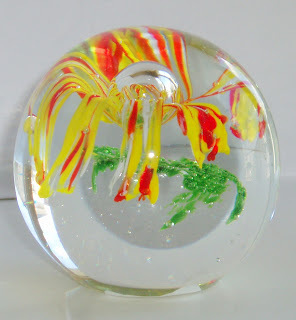 A superb piece, delicate and sophisticated at the same time, reflecting fully, Venetian glass blowers craft and artistic refinement, namely the artist who executed Cenedese Gino (about 1985) the design of art by Antonio Da Ros. 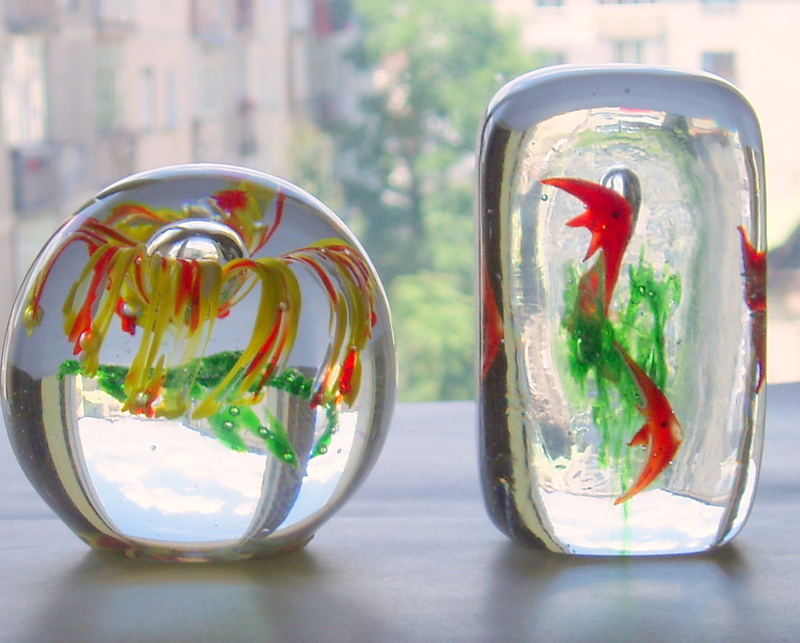 The technique is "sommerso" is about three layers of glass. 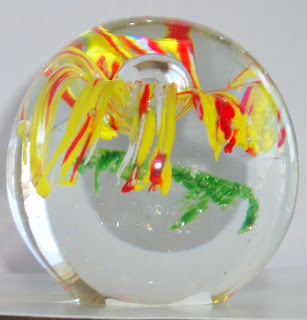 The first contains controlled bubble that grass that gives the sensation of seaweed or "silk frog" and the second layer (the one who "takes" on the first) that sparks a cascade of red and yellow means having a spherical bubble - where - perhaps - the name. The third layer is crystal clear. 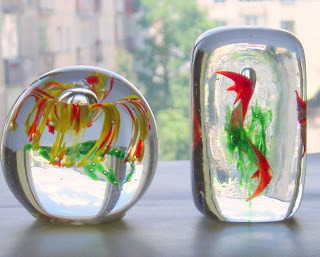 The piece is a spectacular, very nice.